ITS Campus, ITS News – The impact of globalization requires the formation of a competitive atmosphere in all aspects of life. 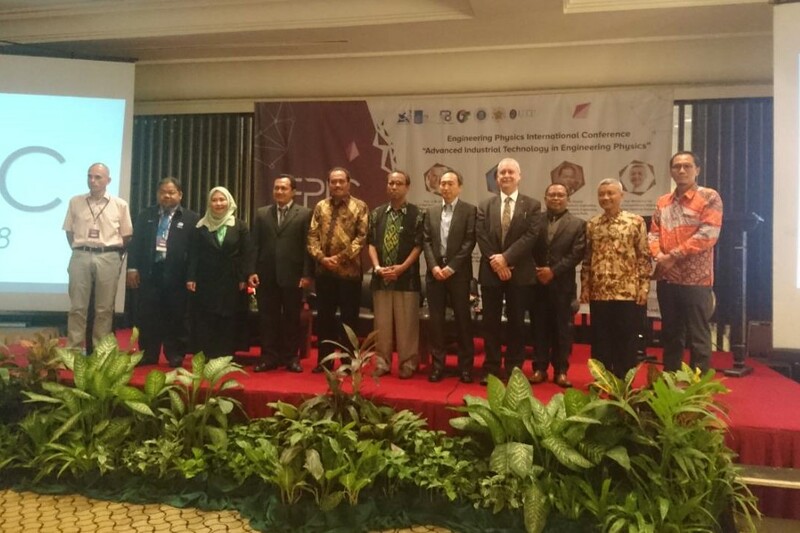 Bringing this issue, Physics Engineering Department of Sepuluh Nopember Institute of Technology (ITS) held an international conference called ‘Engineering Physics International Conference’ (EPIC) 2018 at Bumi Surabaya Hotel, Wednesday (11/1). Present at this event was Deputy Chancellor for Human Resources Organization and Information System Technology, Prof. Ir Arif Djunaidy, M.Sc, Ph.D. In his speech, Arif said, this activity is a form of support and commitment of the Department of Physics Engineering to ITS’s vision to become an international standard institution in the field of science and technology development. According to Arif, an institution should indeed uphold its commitment to form the best method in dealing with various challenges, including globalization. He agreed that innovation in the field of technology is one effective way to compete in the global era. “Through this conference, I hope the participants can receive new experiences, both in the environment of education and new innovations at the global level,” he said. Meanwhile, Head of ITS Physics Engineering Department, Agus Muhammad Hatta Ph.D. explained that ITS Department of Physics Engineering has the vision to become an internationally known department in the development of science and technology based on its scientific discipline. “EPIC 2018 is a good educational tool for young engineers, as well as academics, in developing their capacity to compete in the global era,” he concluded. 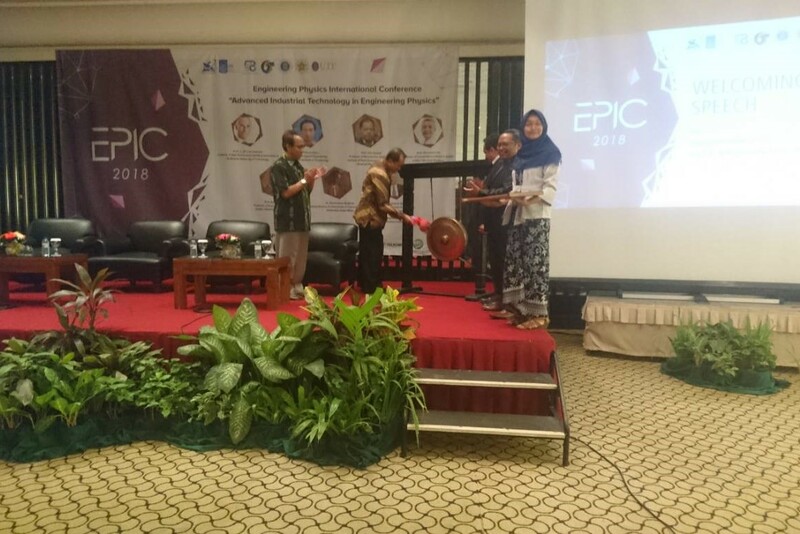 The chief executive of EPIC 2018, Totok Ruki Biyanto, Ph.D. said the conference is a routine activity which is held every two years since 2016. This year, no fewer than 171 papers will be presented at the event. 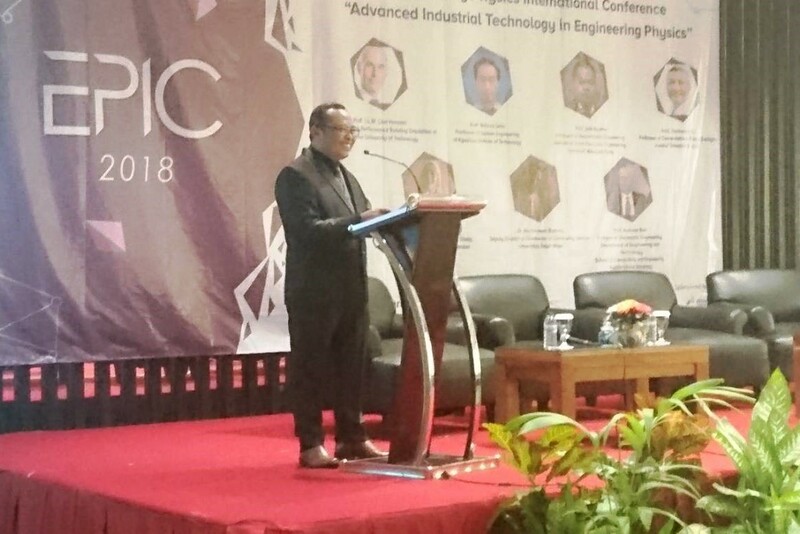 “EPIC 2018 is held under the theme ‘Advanced Industrial Technology in Engineering Physics’, which focuses on industrial technological advances in the field of Physics Engineering,” he explained. He continued, EPIC 2018 also invited seven keynote speakers from various different disciplines. Among them are Prof. Dr. Ir (Jan) Hensen from Eindhoven University of Technology, Prof. Andrew Ball from University of Huddersfield, Prof. Noboru Sebe from Kyushu Institute of Technology, Prof. Uda Hashim from Universiti Malaysia Perlis, Prof. Aulia Siti Aisjah from Sepuluh Nopember Institute of Technology, Dr. Rachmawan Budiarto from Gadjah Mada University, and Prof. Hermawan KD from Bandung Institute of Technology. This conference is joined by participants from various countries such as Indonesia, Japan, Malaysia, Germany, and France, with various backgrounds such as academics, scientists, researchers, students, and industry practitioners. “We hope that this conference can become an international forum to discuss ideas, provide solutions and innovations from different perspectives in the field of science and advanced industry,” explained the man who is familiarly called Totok.